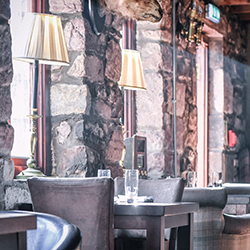 The Glen Mhor Hotel & Waterside Restaurant exclusive Gifts now available to purchase securely online. Gifts can be personalised with a message and sent instantly by eMail, SMS Text or 1st Class Post. 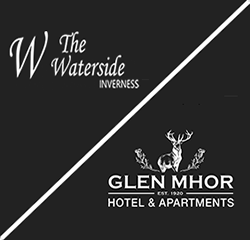 We are a privately owned hotel in Inverness which comprises of two river side properties located on beautiful banks of the River Ness in the heart of Inverness, the capital City of the Highlands. 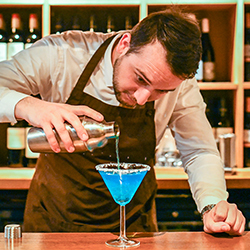 Our a la carte restaurant is one of the most attractively situated restaurants in Inverness offering a river view from every seat with food and refreshments all day. Join us for freshly prepared continental or full scottish breakfast served in our river view restaurant. This voucher is for food only and does not include drinks. With beautiful views of the river from our Front Lounge, or in our bar, you can enjoy a cup of freshly brewed tea or coffee as well as a selection of freshly made sandwiches & home baking, scones with jam and clotted cream and other teatime desserts. Served all day, on reservation only. Three course menu available all year-round between 5pm and 6:30pm, enjoy a selection of dishes made with simple, local produce – eat early but eat well! 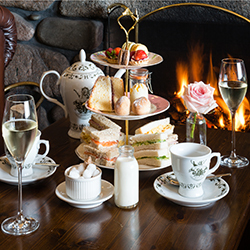 Celebrate with the girls in style with our Tipsy Tea Party package - all the class of an Afternoon Tea, but with an extra twist. 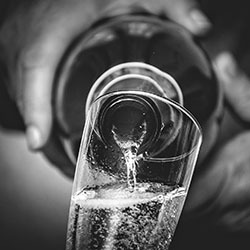 We'll get your party off to the perfect start with Prosecco on arrival, followed by your choice of cocktails, all washed down with vodka jelly shots.The Tipsy Tea Party package also includes a selection of sandwiches, scones and home baking. A chilled bottle of Prosecco served with lunch, dinner or placed in a room ready for check-in. A chilled bottle of Pierre Mignon Grande Reserve served with lunch, dinner or placed in a room ready for check-in. If you have a query or special request please call 01463 233065.